Rachel Weisz is a British actress, a star of world cinema, an Oscar and other significant awards winner. She has become famous for her roles in the films Stealing Beauty, The Mummy, The Constant Gardener. 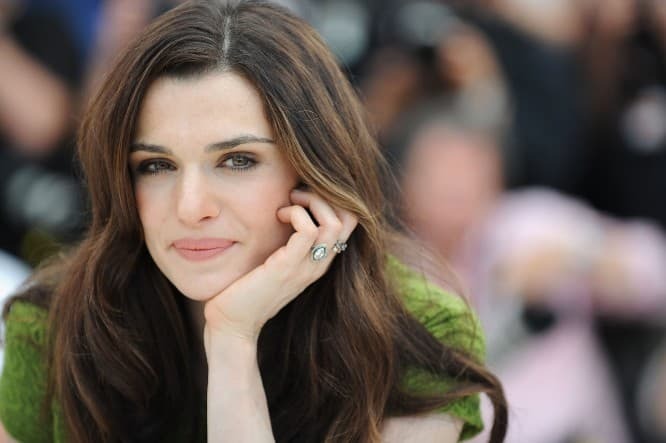 Actress Rachel Weisz was born on March 7, 1970, in a Jewish family. Her parents fled to Britain to escape the Nazis. The future actress’s ancestors lived in Italy, Hungary, Austria. Rachel was born and raised in London. There were two children in the family of inventor George Weisz and his wife, psychotherapist Edith Ruth. Rachel’s sister, Minnie, has become a professional artist. The future actress has only warm memories about her childhood. She lived in a friendly atmosphere, and exciting people often visited her parents. The girl absorbed this atmosphere and enjoyed studying at school. At the age of 14, Rachel started modeling, but the hobby did not become her profession. After graduation, the girl entered the University of Cambridge, where she studied English literature. But for the student theater, Weisz would probably become a good teacher. The girl participated in amateur theater productions and quickly became a star of the group. The creators of a theater studio won an award at the Edinburgh Festival. Critics paid attention to the talented student and praised Weisz in one of the productions. At that moment, Rachel realized that acting was her vocation. Rachel Weisz began to film in the late 1980's. She played bit parts in the series Screen Two, Inspector Morse, Tropical Heat. In 1994, the actress starred in the horror film Death Machine about a combat robot that went wrong. She was 25 years old when Bernardo Bertolucci invited Weisz to play in the film Stealing Beauty. The role was small, but directors and producers noticed Rachel. The film was nominated for the prestigious Palme d'Or Prize. After the first successful acting, directors began to offer the actress leading roles. In 1996, the thriller Chain Reaction was released. It also featured Keanu Reeves and Morgan Freeman. The actress portrayed a woman of easy virtue in the drama Bent. The actress played the opposite image of a young British subject, who joined the army during World War II, in the war movie The Land Girls. 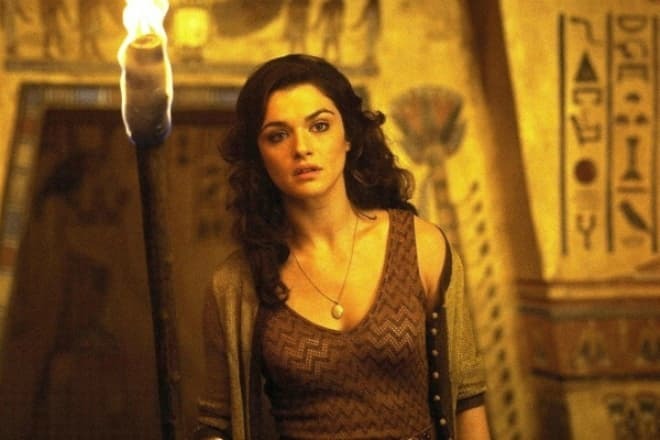 Weisz’s next successful work was the film The Mummy, telling about the fascinating adventures of Rick, Evelyn, a librarian, and her brother. The film was a box office success, and the actress became world-famous. Two years later, the second film of the franchise The Mummy Returns was released. But Weisz refused to play in the third part of the action fantasy film, although they promised a huge fee of $ 3 million for her appearance. At the same time, Rachel appeared in the melodrama Sunshine, where she played a representative of the Jewish dynasty. 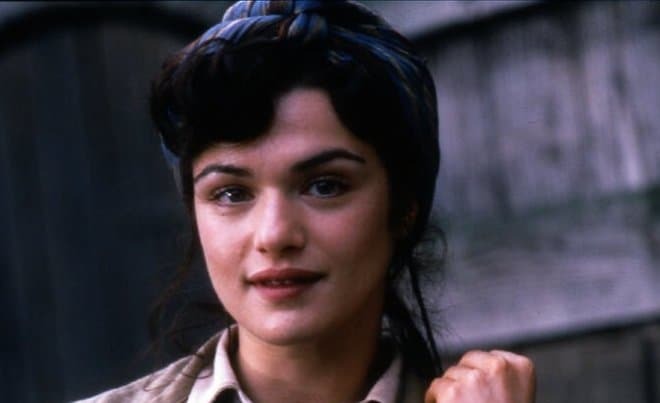 Weisz performed the role of a nurse, Tania Chernova, in the war film Enemy at the Gates about the Battle of Stalingrad. The filmmakers from four countries, the USA, Britain, Germany, and Ireland, created it. Rachel improved her acting skills with every new role. The actress brilliantly played in the thriller Runaway Jury, as well as in the family comedy About a Boy. In 2003, the actress starred in James Foley’s crime thriller Confidence, where she appeared on the screen in the role of a fraudster. In the early 2000's, she played roles in the comedy Envy and the mystical film Constantine. Then there were shootings in the political drama The Constant Gardener. Rachel Weisz received the cherished Oscar statuette, the Screen Actors Guild Award and the Golden Globe Award for this role. The actress played a heroine, Tessa, a journalist who was involved in the investigation of the criminal activities of pharmaceutical companies in the African continent. At the end of the film, they cold-bloodedly murdered the woman. The actress portrayed a heroine, Izzi, a death sick woman, in the epic magical realism film The Fountain. It was followed by the comedy The Brothers Bloom, where Rachel played the image of an eccentric wealthy woman who set off on a journey with two adventurer brothers. The significant work was the leading role in the drama Agora. 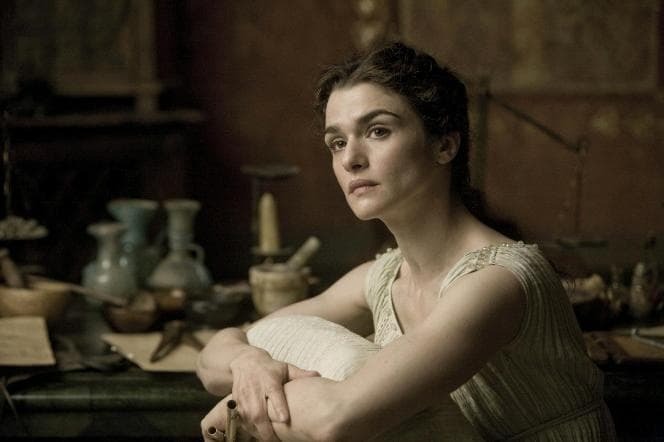 The actress played the part of the first female scientist Hypatia of Alexandria, who lived in the 4th century AD. Later, Weisz was invited to appear in the crime thriller The Whistleblower, where the actress played the role of a female policeman who went to Sarajevo, having signed a contract with the UN mission. Later, there was the shooting in the movie Oz the Great and Powerful, where the actress appeared in the new image of a seductive witch, Evanora. In the drama The Deep Blue Sea, the actress brilliantly played the role of a successful woman who went off the deep end, forgetting about her family and the rules of decency. Viewers and critics appreciate the film Youth, which has won numerous awards at the international film festivals, among the latest bright premieres in Rachel Weisz’s acting career. Many viewers are interested in how Rachel Weisz manages to show the passion of a woman in love on the screen. It transpired that the actress had such passionate relationships in her life. Her first great lover was director Sam Mendes. They seemed to be a perfect couple. But Kate Winslet became Sam’s wife, the mother of his child. However, their marriage also did not work out. Her second boyfriend was Darren Aronofsky. Gradually, the relationship turned into a common-law marriage. In 2006, Weisz gave birth to a son, Henry. Fans of the couple were waiting for the wedding, but it did not happen. Rachel met Daniel Craig, the performer of the role of James Bond, on the set of the movie Dream House. They began soon dating but hid relationships from colleagues and friends. They both had relations. 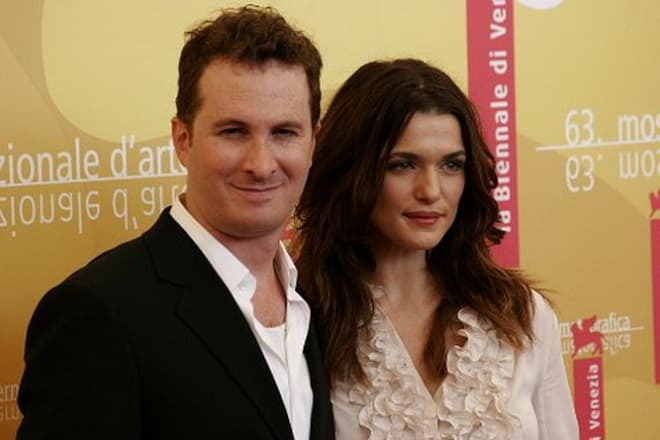 However, at the end of 2010, Rachel Weisz and Darren Aronofsky officially announced their separation. Darren had a tough time after the breakup but gradually got used to this idea. The director is still actively involved in the upbringing of his son. In June 2011, Rachel married Craig. It seems that the actress finally found her man. According to Weisz, she has understood over the years that happiness is a comfortable silence. Therefore, Rachel does not have accounts on social networks, including Instagram, and the press doesn't publish Weisz's family photos at all, except for pictures taken at official events. Rachel Weisz is a famous person in European cinema and Hollywood. She has become well-known as an actress and a producer. Weisz has already worked as a producer of the films The Shape of Things, Radiator. The latest project is the film Disobedience, shot in 2017. Rachel was a producer and performer of the leading role. The plot tells about two girls in love. Rachel Weisz’s partner on the set was actress Rachel McAdams. The film premiered at Toronto International Film Festival. The worldwide premiere is planned for the end of April 2018. Nowadays two more Hollywood premieres with the participation of Rachel Weisz go through the post-production stage. These are the sports drama The Mercy and the indie sci-fi film Cloud One directed by Goran Dukić. The historical period drama The Favorite goes through the shooting stage. 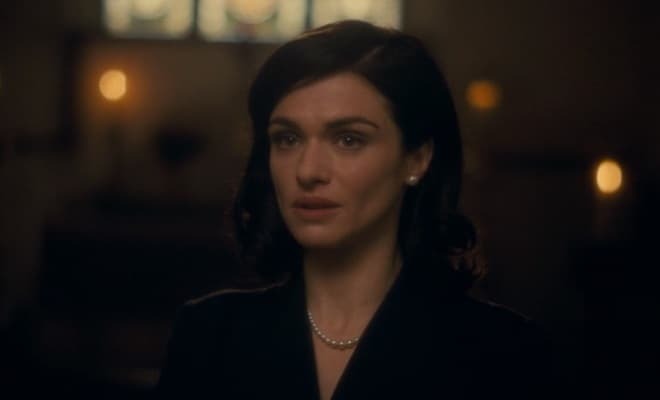 Rachel Weisz plays the role of Sarah Churchill. 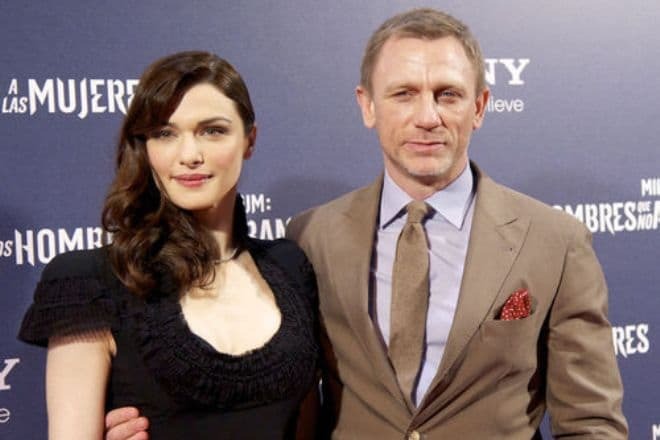 In the situation of the larger feminist movement in Hollywood, there is a controversy over the creation of a film about James Bond, where a woman will play the title character, 007. Gillian Anderson and Priyanka Chopra have expressed their desire to play this heroine. Unlike colleagues, Rachel Weisz is against this idea. The actress prefers to portray unique images, but not those that already exist.